Police confirmed around 11 p.m. that 68-year-old Douglas Parkhurst of West Newfield died from his injuries after being hit at Goodall Park in Sanford Friday evening. He died en route to the hospital, according to police. A woman has been arrested after police say she hit and killed a man on a Maine baseball field and sped away. 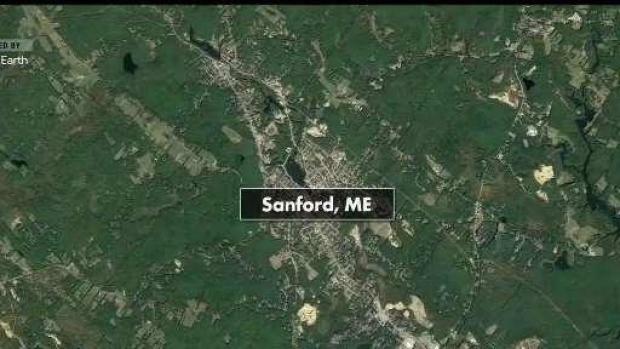 The driver, 52-year-old Carol Sharrow of Sanford, was taken into custody. She has been charged with manslaughter, police said. Investigators say they responded to the field at 7:09 p.m. after someone reported a woman driving a car on the field, according to police. 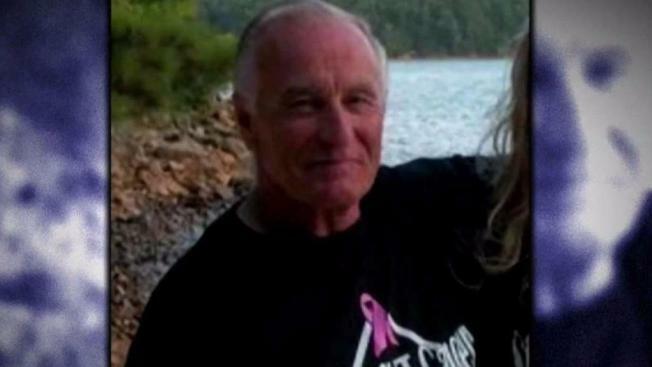 New video shows a woman driving erratically on a little league baseball field in Maine before police say the driver, 52-year-old Carol Sharrow, hit and killed 68-year-old Douglas Parkhurst and then took off. Sharrow was taken into custody and is being charged with manslaughter. "Bystanders and ballplayers scattered to avoid the vehicle as it drove erratically on the ballfield," police said. "The vehicle struck a closed gate and then sped toward the open main gate. The vehicle struck a pedestrian who was near the main gate, and then sped from the scene." News Center Maine reported that the man was taken to an area hospital after being hit around 5 p.m.
Video shows a car circling the bases clockwise. 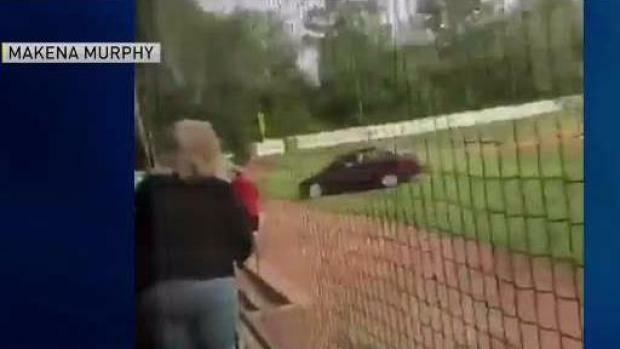 The video begins as the car is between second and first, and it can be seen veering off near third base. People on the field can be seen moving away from the car. Police said incident happened on Baseball field in Sanford. After hitting Parkhurst, Sharrow allegedly went through the gate and drove off, according to News Center Maine. Roberts Street was closed as police investigated Friday. Police say the case remains open and under investigation by both Sanford Police and Maine State Police. Anyone who has video of the incident is asked to call police at 207.324.9170 Ext. 1.